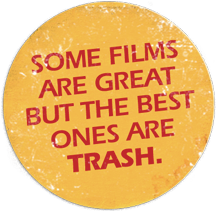 TRASH NITE: TRASH NITE presents PIZZA PARTY! TRASH NITE presents PIZZA PARTY! 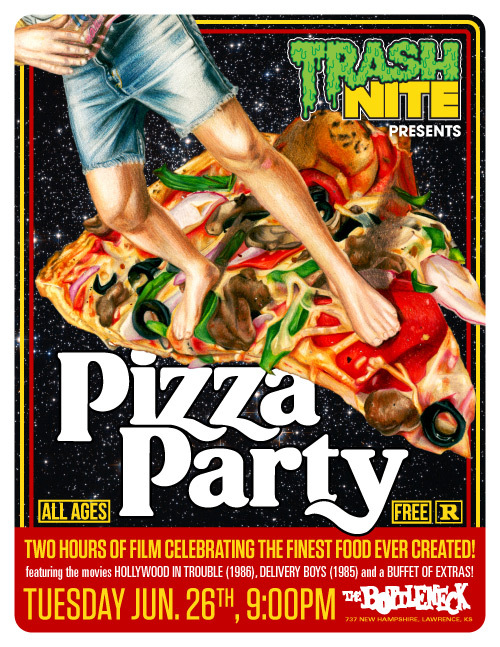 If you're within driving distance of Lawrence, KS and you love pizza, there's no legitimate excuse we will accept for you not to attend PIZZA PARTY, a Trash Nite special presentation! It's two hours of pizza-related film things, featuring condensed versions of the films Hollywood In Trouble (1986) and Delivery Boys (1985) and put together in the style of a mid-80s local TV broadcast, complete with commercial breaks. All ages are admitted and, most importantly, it's completely FREE!